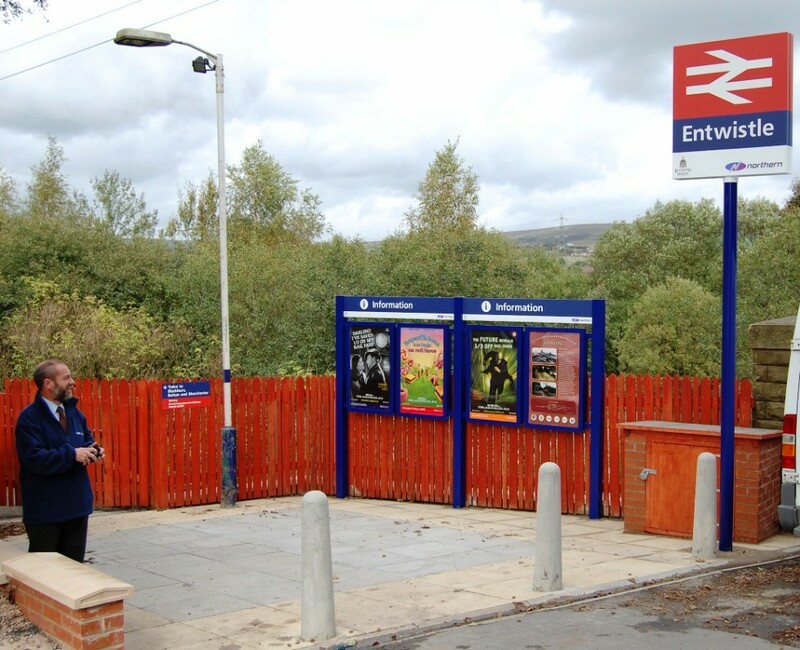 The rather remote station at Entwistle was opened on the 1st August 1848 and has always been a country outpost. It is served by Northern Rail and is on the Manchester Victoria to Blackburn and Clitheroe (Ribble Valley) Line. 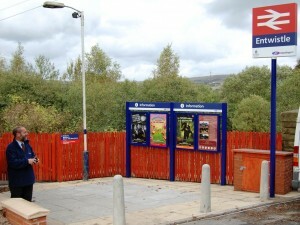 Owing to its remote location the station is a request stop. Customers wishing to alight must inform the on-train staff, prior to departure from the previous station, and those wishing to join must give a clear hand signal to the driver. The station has had its moments in the spotlight. It was used as a location in Jeffrey Archer’s film First among Equals when it was renamed Middlewood and it became Middlewood again in Peter Kay’s Max and Paddy’s Road to Nowhere television series. The location of the station makes it a popular starting point for the wide range of walks in the immediate area. Blackburn with Darwen Borough Council market the station as the gateway to the West Pennine Moors and there are good family walks, well marked round Turton and Wayoh reservoirs. Turton Tower, a grade one listed building, dating from 1400 is situated about two miles from the station. 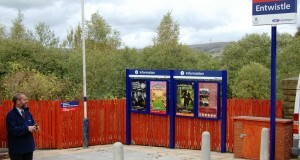 Details of local walks can be obtained from Blackburn Visitor Centre. SD 727178 – for a map visit www.streetmap.co.uk and enter the grid reference. This station is a request stop – if you wish to alight at this station please inform the conductor and if you wish to board please make a clear signal to the driver. Turton Tower is approximately 2 miles from the station and more detail can be found by clicking here.